Eight new grants will help faculty and academic departments across the University of Michigan enhance relationships with partner colleges and universities through the school’s fledgling Minority Serving Institutions Office. The office, housed in the Rackham Graduate School, is a formal mechanism to better support efforts across campus to cultivate and strengthen relationships with MSIs and eventually develop strong, long-term partnerships. 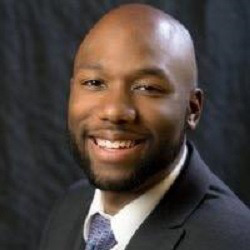 Office coordinator Edmund Graham serves as a focal point in the work to bolster outreach efforts by U-M to historically Black colleges and Universities (HBCUs), Hispanic serving institutions (HSIs) and other MSIs ranging from Morgan State University to the University of Texas at El Paso. The relationships help U-M, a large and predominantly White institution, better understand and value diversity in perspectives and also help shift the focus of equity conversations from deficits to assets, Graham said. The deliberate relationship-building and partnership-forging also enhance pathways for minority undergraduate students – who are historically underrepresented at PWIs – to seek advanced degrees at U-M after graduating from their MSI. For Graham, the role has meant synthesizing U-M’s various efforts to collaborate with MSIs. His approach is informed by experiences at both types of schools, having earned a bachelor’s degree in marketing at Grambling State University nd a master’s degree in human resource education at the University of Minnesota. “My own experiences and interests came full circle,” said Graham, who also worked in student affairs at Huston-Tillotson University and is earning a Ph.D. in educational policy, organization and leadership at the University of Illinois at Urbana-Champaign. The graduate school and provost’s office provided grant funding that helped get the MSI office up and running, which followed financial support from the Kellogg Foundation for MSI-related initiatives on campus. Dr. Betty Overton, a retired clinical professor in U-M’s School of Education, had worked extensively at and with MSIs and envisioned the office along with the graduate school’s former dean, Dr. Carol A. Fierke. Overton said the initial interest was leadership at MSIs. When U-M’s incoming president, Dr. Mark Schlissel, requested new diversity plans campuswide, Overton and Fierke saw an opportunity to nurture “mutually beneficial arrangements” with MSIs that were “less episodic” and more systematic and ongoing, Overton said. Overton, now a senior fellow with the National Forum on Higher Education for the Public Good in the Center for the Study of Higher and Postsecondary Education (CSHPE) at U-M, said she’s pleased that the initiative is about mutual affirmation rather than a large school raiding other schools’ students and faculty. The new MSI Outreach and Collaboration Grants – funded by the provost’s office and informed by a similar initiative in the University of California system – will be awarded in two areas, Graham said. Five of up to $8,000 each are for initiating outreach and planning, excluding recruitment, and three grants of up to $30,000 each are for sustaining longer-standing relationships and planning collaborative events on a larger scale. The MSI office also plans to host a second MSI summit on campus this fall. Dr. Anthony P. Mora, an associate professor of history, is submitting a grant proposal to host a symposium on digital humanities, bringing in faculty from the University of New Mexico and Spelman and Morehouse colleges. The MSI office has made forging relationships with MSIs easier, said Mora, a U.S. historian whose teaching specialties include the history of Latinos in the U.S. and U.S. popular culture. The university’s relationships with MSIs and attracting talented graduate students from them are important “because the future of the humanities depends on building a cohort of new academics who are going to be engaged in these questions that reflect the larger population,” said Mora. Joana Dos Santos, the diversity, equity and inclusion specialist and implementation lead in U-M’s Taubman College of Architecture and Urban Planning, is working with MSIs with whom she has developed relationships to complete her grant proposal. It involves Florida A&M, Florida International and Hampton universities and the University of Oklahoma in leading capacities, as well as Howard, Tuskegee and Morgan State universities in advisory capacities. Dos Santos said her main goal in the relationship-building is more pathways for MSI students to earn graduate degrees at U-M and diversify career fields such as architecture and urban planning that tend to be White and male-dominated – and, along the way, culturally diversify curricula and teaching ranks at U-M.